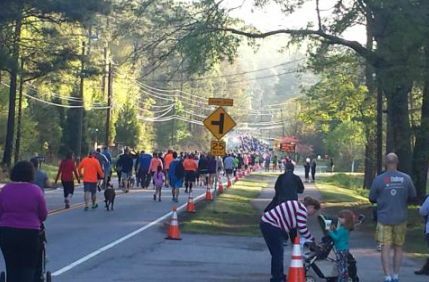 Enjoy a scenic run/walk along the Chattahoochee River as you join your fellow runners & walkers in the 18th Annual Choate Construction Run the River 5K/10K. Proceeds will be used to continue HomeStretch's mission of providing housing, hope, and life skills to homeless families. 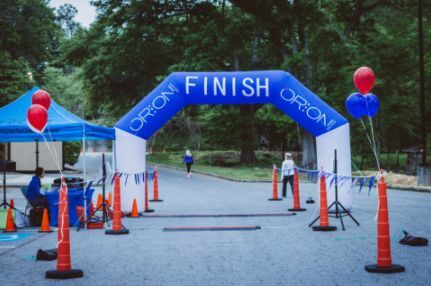 This fast, flat, USATF certified course (5K & 10K) is a great opportunity to PR or to just enjoy a leisurely stroll along the Chattahoochee River. Awards for overall and masters M/F winners, plus 16 age categories, All Fun Run participants also receive awards. Plus enjoy a fun-filled post race party of music, food, and prizes. Roswell is located less than 30 minutes north of Atlanta, Georgia. 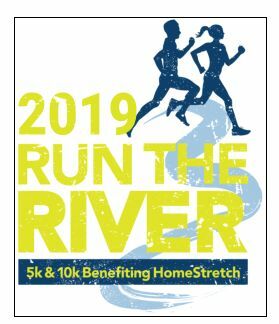 Come and "RUN THE RIVER" - -you'll enjoy it!!! Again This Year – 5K Walk!! Walkers just for you – enjoy a stress-free stroll on the Riverside Trail and help eliminate congestion on the road. 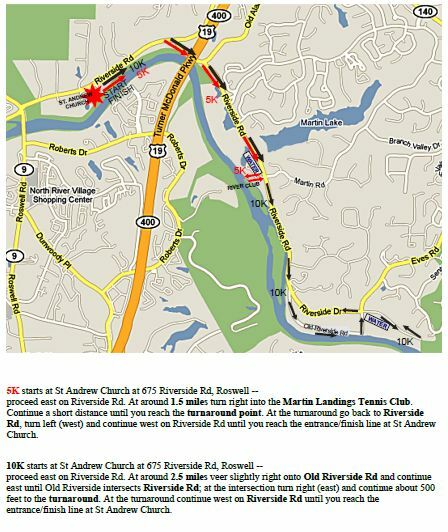 Plan to arrive at least 45 minutes prior to the start of your event Carpool if possible. NEW STARTING TIMES!!! 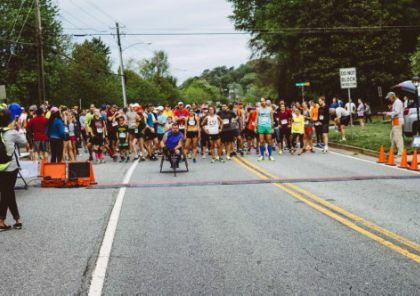 New City of Roswell regulations require new starting times. 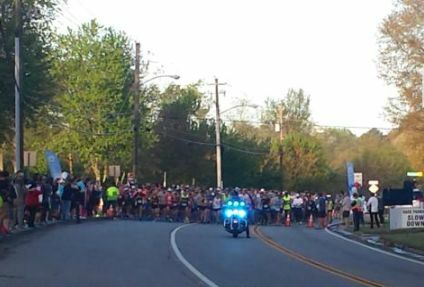 There are 4 events: 10K starts at 7:30 AM; 5K starts at 7:45 AM, 5K Walk starts at 7:50; Fun Run starts at 7:55 AM. AGAIN THIS YEAR - ELECTRONIC CHIP TIMING by Orion Racing!!!! QUALITY TRI-BLEND TECHNICAL T-SHIRT guaranteed to all registered runners/walkers. 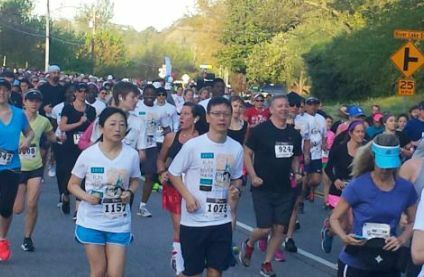 Pre-Race day packet pick up is at Big Peach Marietta ( East Cobb ) 1062 Johnson Ferry Rd, Marietta GA. 30068 Friday April 5th from 11am - 7pm. New this Year!! Feeling lucky? Enter our 50-50 raffle. Buy your tickets on-line and we'll do the rest. Winner will be announced during the award ceremony. You don't need to be present to win. Also, don't want to get up early on a Saturday morning. Or, just can't make it this year. You can still get a t-shirt by registering as a Virtual Runner. We'll mail you the shirt! !